Developer Ben Weaver is at it again. 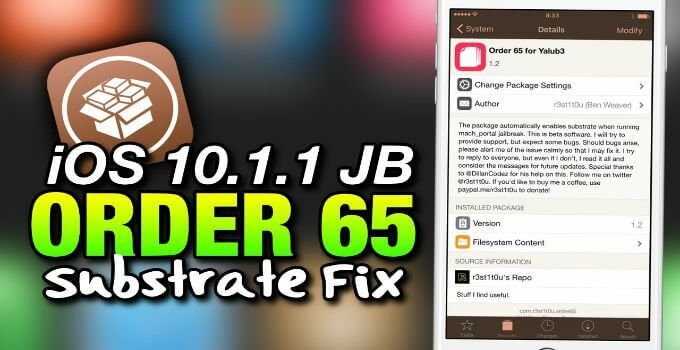 After releasing Order 66 Substrate Fix for iPhone 7 and iPhone 7 plus, he’s back with Order 65. Let’s find out more about Order 65 Substrate Fix. Order 65 Substrate Fix tweak automatically enables Substrate when you launch mach_portal. This makes mach_portal jailbreak just as stable as yalu102 jailbreak. Until now, mach_portal users had to enable Cydia Substrate with Executer application or MTerminal. Order 65 makes it all the more easier by enabling Cydia Substrate by default when you run mach_portal. It is currently in beta development stage. Here’s what you should keep in mind before you install it. This fix is compatible with all tweaks that are compatible with the Order 66 fix. 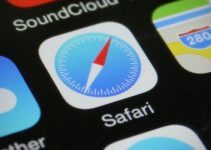 Order 65 is safe to use as it renames dropbear LaunchDaemon once installed. It utilizes dropbear to initialize its code. To use Order 65 properly, you will need to install Order65 for Yalub3 along with Substrate Fix for Yalub3. The older Order 66 fix is a dependency for this new fix. So if you have already installed it on your iPhone 7/7+, don’t remove it. This fix is what yaluX Essentials should have been. For some reason, ijapija00 bungled up the code and messed up a few devices. This lead to the fix being pulled off from his repo. 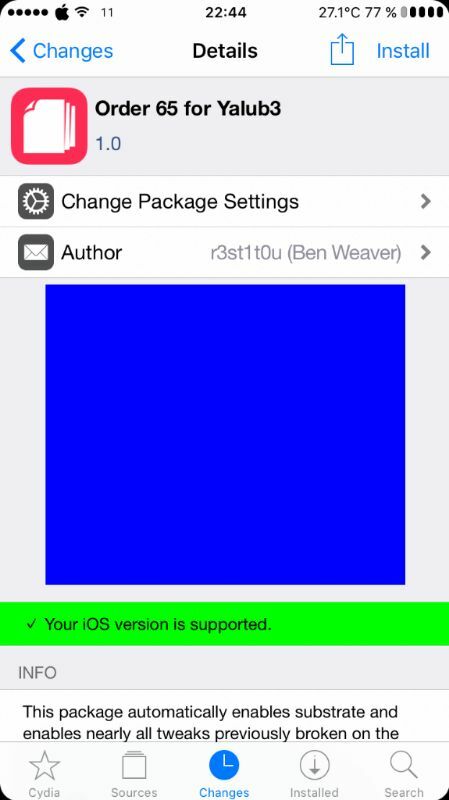 Step 1 Launch Cydia and add this repo – https://r3st1t0u.github.io. Step 2 Install Substrate Fix for Yalub3 package. You can keep Executer installed for the best experience. If you want to uninstall it, that’s good too and won’t cause any issues. Since it’s in beta stage at the moment, a few errors and issues are to be expected. If you are facing issues, you can uninstall it easily. Uninstalling it will fully revert mach_portal to its original settings. Connect your device to the computer. Make sure it’s in unjailbroken state. Access the raw file system. Navigate to Order 65’s folder. Delete execute file present in this location. This fix will make your jailbreak very stable. If you want to make iOS 10.1.1 jailbreak even more stable, follow this tutorial. 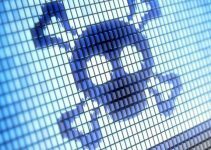 iOS 10.1.1 jailbreak is unfinished and will never likely come out of beta. So, this is our best bet right now to make it usable. Ever since Luca Todesco left the jailbreak scene, r3st1t0u has been releasing fix after fix specifically for mach_portal users. So if you like this tweak, don’t forget to donate to the developer. He’s doing the lord’s work by making mach_portal stable for iPhone 7/7 plus users.